Hello Hayasa. Welcome to Delta. 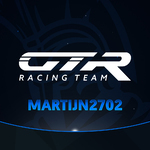 Hello and welcome to delta online racing you will enjoy it here many things happening and to kick off we have the Volvo stcc series starting on Sunday.